Philly's own Nephlon Don is making his way to be some one of importance in the industry. Connecting with Chox-Mak and DJ YRS Jerzy only makes his movement stronger. Nephlon Don is a affiliate of RCA/So So Def recording artist Royce Rizzy who is managed by Jermaine Dupri. Chox-Mak and DJ YRS Jerzy have been tearing up the independent market for some time now being featured on some of the most premiere hip hop websites. 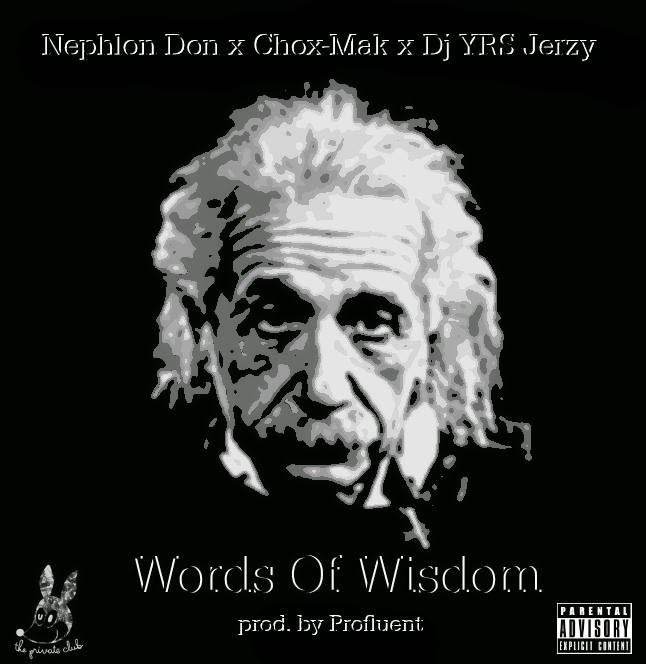 Their reign continues again by connecting with Nephlon Don for "Words Of Wisdom". With the fall season approaching they have turned dowed the tempo of what everyone is putting out as far as releases. Stay tuned for more Private Club (Members Only) and 90s FLow collaborations in the near future.